Manchester United midfielder Paul Pogba felt Jose Mourinho's system and tactics made it "really difficult" for him to flourish before the Portuguese's sacking. Pogba's uneasy relationship with Mourinho was a constant talking point during their time together at United, with the pair seemingly falling out regularly. Mourinho routinely dropped Pogba and criticised his performances, while he also went as far as saying the Frenchman would not captain the team again while he was manager after wearing the armband earlier in the season. 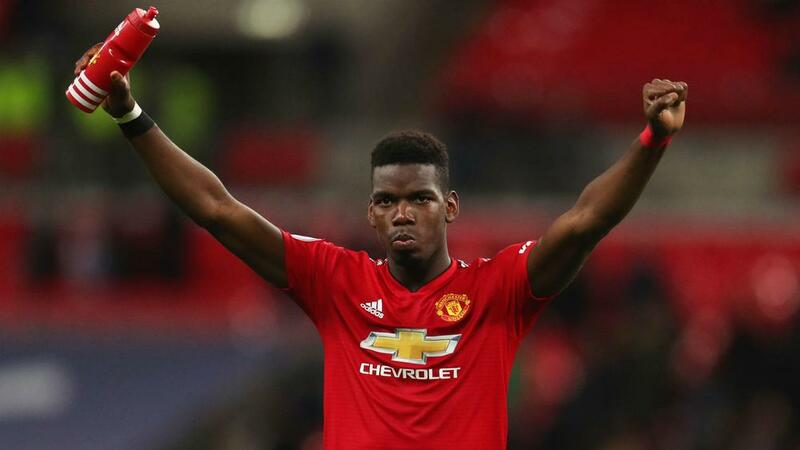 Since Mourinho's departure, Pogba's form has spectacularly improved, scoring four goals and setting up as many – including the winner in Sunday's win at Tottenham – in five league games under Solskjaer, and the France international puts it down to being given freedom. "I love playing big matches against the best players," he told Sky Sports. "That's where we improve, progress and get more experience. "It was a big one for us. We were all determined and wanted to win this game. We all enjoyed playing together today [Sunday]. "I am enjoying playing football. It was really difficult with the system and tactics we used to play, I want to be more attacking, pressing, playing high. "When I had to defend, it is not my best attribute. When I play, attack is where I feel the most comfortable. "That's what the manager [Solskjaer] told me to do; run, get in the box, because you will score goals if you get in the box. "The best example is Frank Lampard. If I can do that, on the edge of the box, I will score goals. Everything comes when you are more free, have the trust of the manager and the players, it makes it easy for me. "It helps me to have Matic [and Herrera] there. I know I have security behind me and I have freedom to go, so yes it helps."